Edison Square, a $12,000,000 project aided by the use of New Market Tax Credits, is located at 701 West Lehigh Avenue, which was the former Edison High School. The existing 400,000 sq. ft. school building was demolished and developed into a 36,000 sq. ft. retail shopping center. This highly visible and busy commercial corridor is a very attractive location to retailers and the complex was completely pre-leased before construction began. Tenants include: Save A Lot grocery, Family Dollar, Burger King and Kicks USA. 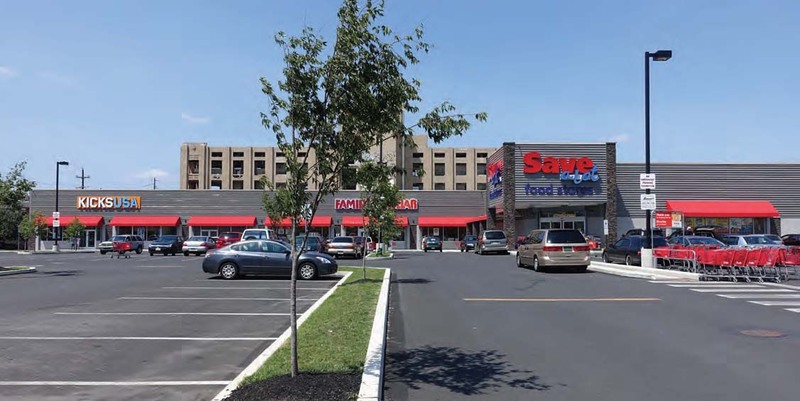 Not only does the shopping center provide convenient goods and services to the community, it eliminated blight significantly and enhanced the aesthetics along the Lehigh Avenue corridor. The project created 70+ full-time equivalent jobs and hundreds of construction jobs.